"An often hilarious game about last minute Christmas shopping!" 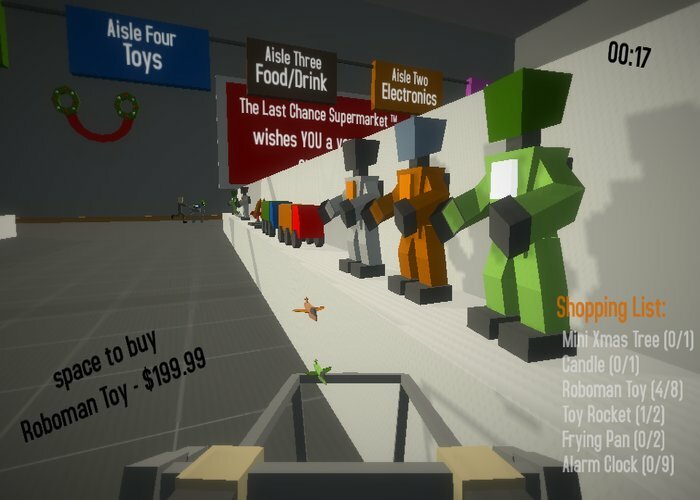 Last Chance Supermarket is a fast paced, low poly game about trying to grab everything on our shopping list amidst the Christmas rush as quickly as possible, at the bottom you have got a list of things needed that you will need to collect before you can head to the checkout, however it won't all be that easy as you will need to try to avoid everyone else also madly dashing to try to do their last minute shopping and if you should collide with them, especially at the speed you are moving it will result in sudden death! 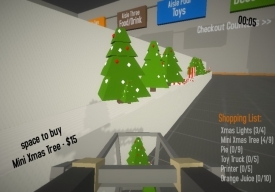 Although the game is made in a very blocky low poly style it's a lot of fun and is also challenging enough to have you keep coming back and trying to actually complete your shopping list. 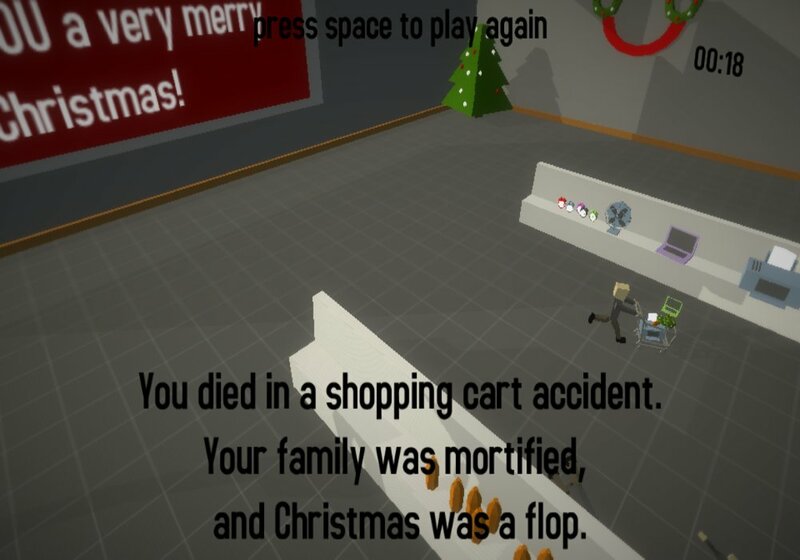 It may be the wrong time of year for this type of game, but fun is something that lasts all year round, so download this now and have a little fun and then when you're looking for something festive and free to play come December remember to boot up Last Chance Supermarket again and have some fun virtually Christmas shopping and trying not to die all from the comfort of your home. You can download Last Chance Supermarket here for free.